North Central Family Medical Center uses health information about you for treatment, to obtain payment for treatment, for administrative purposes, and to evaluate the quality of care that you receive. Your health information is contained in a medical record that is the physical property of North Central Family Medical Center. For Treatment: North Central Family Medical Center may use your health information to provide you with medical treatment or services. For example, information obtained by a health care provider, such as a physician, nurse, or other person providing health services to you, will record information in your record that is related to your treatment. This information is necessary for health care providers to determine what treatment you should receive. Health care providers will also record actions taken by them in the course of your treatment and note how you respond to the actions. For Referrals to Other Providers and Health Care Entities: North Central Family Medical Center may use and disclose your health information to promote continuity of care with other health care and enabling services. For Payment: North Central Family Medical Center may use and disclose your health information to others for purposes of receiving payment for treatment and services that you receive. For example, a bill may be sent to you or a third-party payor, such as an insurance company or health plan. The information on the bill may contain information that identifies you, your diagnosis, and treatment or supplies used in the course of treatment. determine how to continually improve the quality and effectiveness of the health care we provide. Appointments: North Central Family Medical Center may use your information to provide appointment reminders or information about treatment alternatives or other health-related benefits and services that may be of interest to you. Fundraising: North Central Family Medical Center may use certain information (name, address, telephone number, dates of service, age, and gender) to contact you in the future to raise money for Community Medicine Foundation’s Offsite Patient Referral Fund, our institutionally related foundation. The money raised will be used to refer patients who do not have medical insurance to specialists such as Urology, GI, Surgery, OB/GYN, Dermatology, Radiology, etc. Please write to us at our address (Community Medicine Foundation, PO Box 28, Rock Hill, SC 29731) if you wish to have your name removed from the list to receive fund-raising requests supporting the Offsite Patient Referral Fund in the future. In the event that you contact us with this request, all reasonable efforts will be taken to ensure that you will not receive any fund-raising communications from us in the future. Individuals Involved in Your Care or Payment for your Care: North Central Family Medical Center may disclose PHI to a person who is involved in your care or helps pay for your care, such as a family member or friend if you agree, or when given the opportunity, you do not object. Please fill out a confidential communication consent form with the names of those involved in your care. We also may notify your family about your location or general condition or disclose such information to an entity assisting in a disaster relief effort. Business Associate: North Central Family Medical Center may disclose PHI to our business associates to perform certain business functions or provide certain business services to North Central Family Medical Center. All of our business associates and their subcontractors are required to maintain the privacy and confidentiality of your PHI. Public Health: Your health information may be used or disclosed for public health activities such as assisting public health authorities or other legal authorities to prevent or control disease, injury, or disability, or for other health oversight activities. Decedents: Health information may be disclosed to funeral directors or coroners to enable them to carry out their lawful duties. Organ/Tissue Donation: Your health information may be used or disclosed for cadaveric organ, eye or tissue donation purposes. Research: North Central Family Medical Center may use your health information for research purposes when an institutional review board or privacy board that has reviewed the research proposal and established protocols to ensure the privacy of your health information has approved the research. Health and Safety: Your health information may be disclosed to avert a serious threat to the health or safety of you or any other person pursuant to applicable law. Government Functions: Your health information may be disclosed for specialized government functions such as protection of public officials or reporting to various branches of the armed services. Workers’ Compensation: Your health information may be used or disclosed in order to comply with laws and regulations related to Workers’ Compensation. Neonatal Testing: Information regarding neonatal testing to detect inborn metabolic errors and hemoglobin apathies may be released only to the parents of the child, the child’s physician and the child, when 18 years of age or older. Other uses: Other uses and disclosures will be made only with your written authorization and you may revoke the authorization except to the extent North Central Family Medical Center has taken action in reliance on such. obtain electronic copy of PHI in form or format requested if readily producible and to direct North Central Family Medical Center to transmit a copy to an entity or person you designate, provided that it is made in writing, signed by the individual, clearly identifies the designated person and clearly identifies where the information will be sent. receive an accounting of disclosures made of your health information. You have the right to request that we limit 1) how we use and disclose your PHI for treatment, payment, and health care operations activities; or 2) our disclosures of PHI to individuals involved in your care or payment for your care. North Central Family Medical Center will consider your request, but is not required to agree to it unless the requested restriction involves a disclosure that is for the purpose of payment or healthcare operations and is not otherwise required by law or the protected health information pertains to a health care item or service which has been paid in full other than by the health plan. If we agree to a restriction on other types of disclosures, we will state the agreed restriction in writing and will abide by them, except in emergency situations when the disclosure is for purposes of treatment. North Central Family Medical Center is required to provide patient notification if it discovers a breach of unsecured PHI unless there is a demonstration, based on a risk assessment, that there is a low probability that the PHI has been compromised. You will be notified without reasonable delay and no later than 60 days after discovery of the breach. Such notification will include information about what happened and what can be done to mitigate any harm. d. The mailing address to which a formal response to the complaint may be sent. Please mail the complaint to the address below. You may also make a complaint to the Department of Health and Human Services if you believe your privacy rights have been violated. You will not be retaliated against for filing a complaint. North Central Family Medical Center reserves the right to change its information practices and to make the new provisions effective for all protected health information it maintains. Revised notices will be made available to you by written and posted communications. Managing your health can be a daunting task, especially if you don’t have medical insurance. Even with insurance, health care can still be quite expensive. Our providers are well versed and experienced in providing high-quality care at an affordable cost to you so that you can spend more time being well than worrying about being sick. 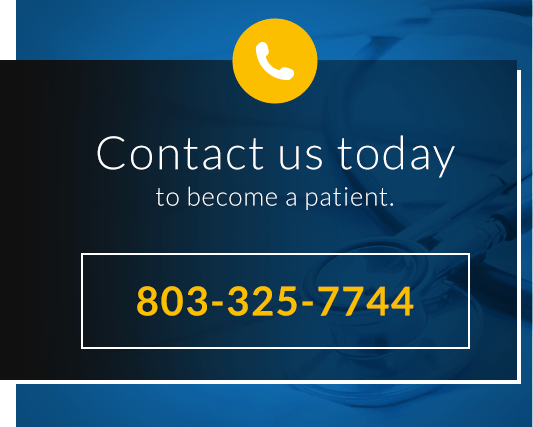 North Central Family Medical Center is a convenient care clinic offering medical treatment to patients of all ages in Rock Hill, Fort Mill, Chester, Clover, and surrounding SC communities.